We are fortunate in having a very experienced production technician (Elizabeth Thewlis) who joined SPS in June 2012 having previously worked for many years in the power electronics industry. Liz had previously been trained to IPC-A-610 but her certification had lapsed. 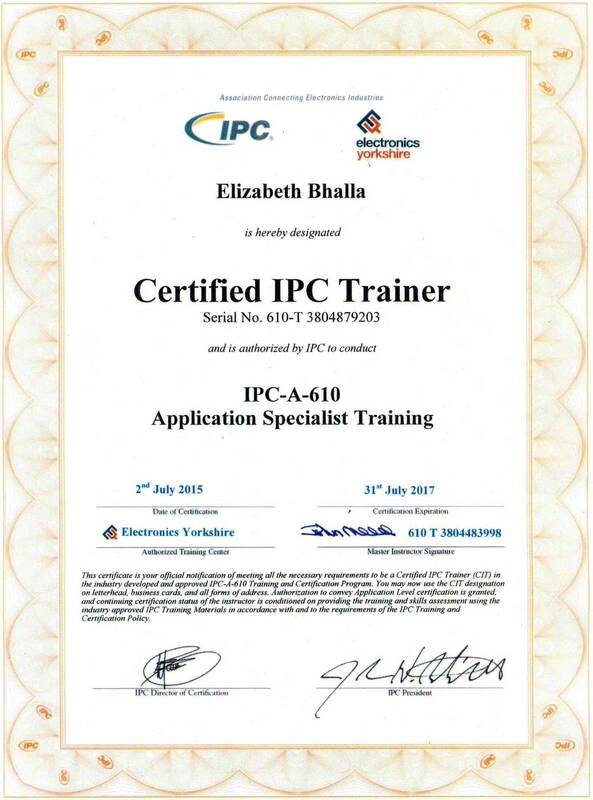 Given her experience it was an obvious decision to ask her to take the IPC-A-610 certified instructor course at Electronics Yorkshire so she could then instruct other members of staff. She duly completed the course in July 2015.